On my road trip through Ireland, Killarney was the place I stayed the longest – five whole nights! It was so nice to unpack, do laundry and actually relax in our huge rental. 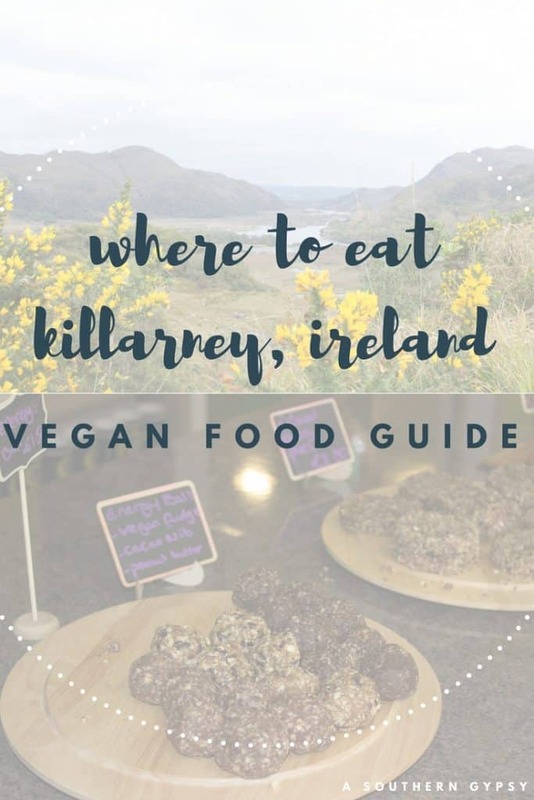 Three of the days were spent at a conference so not as much exploring the area but the other time was spent driving the Ring of Kerry, visiting with friends, finding vegan food and enjoying Killarney’s nightlife. 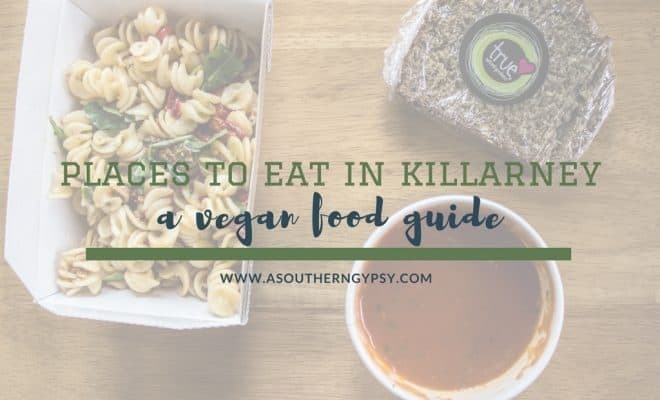 While there isn’t an all-vegan restaurant in Killarney there are several places to eat in Killarney with vegan food. 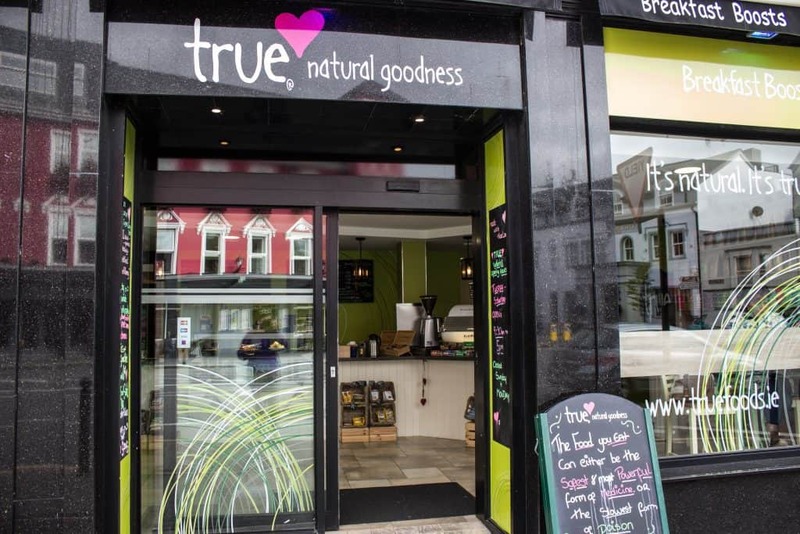 True Natural Goddess is located on the main street in the town of Killarney and made for a great lunch. 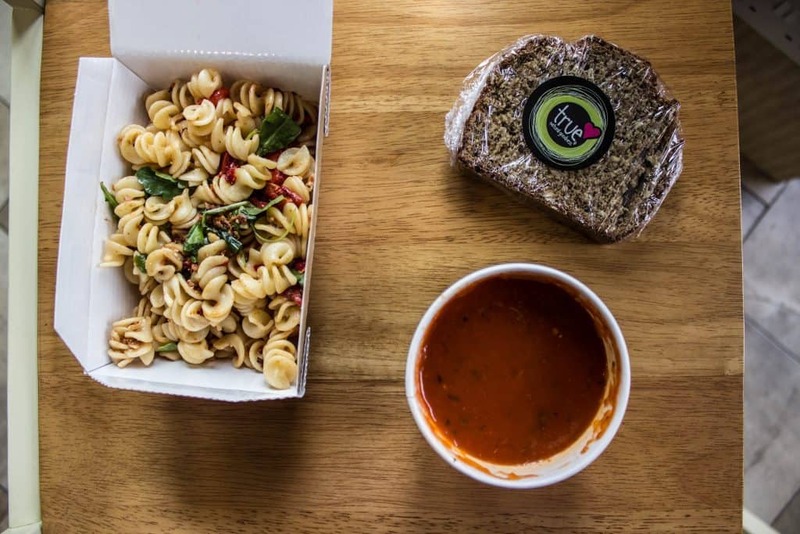 The pasta, bread, and soup made for a light and filling place to eat in Killarney. They had a large selection of raw desserts, coffee, and other sides. The location had minimal seating so its a great place to grab for a picnic or take home. 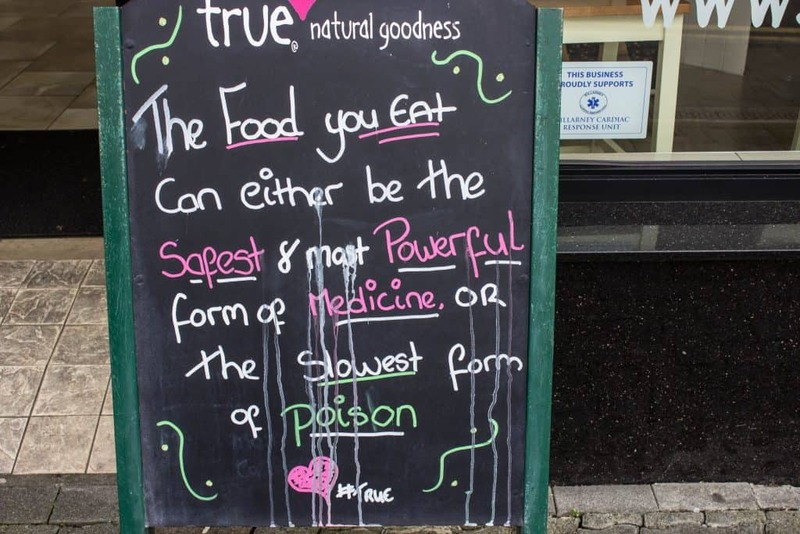 Unfortunately, since my visit, True Natural Goddess (the brick and mortar) has closed so you’ll no longer be able to stop in for lunch. The reason why I’m still including it is because True Natural Goddess is still an Ireland brand and you can find their products all over Ireland in stores. 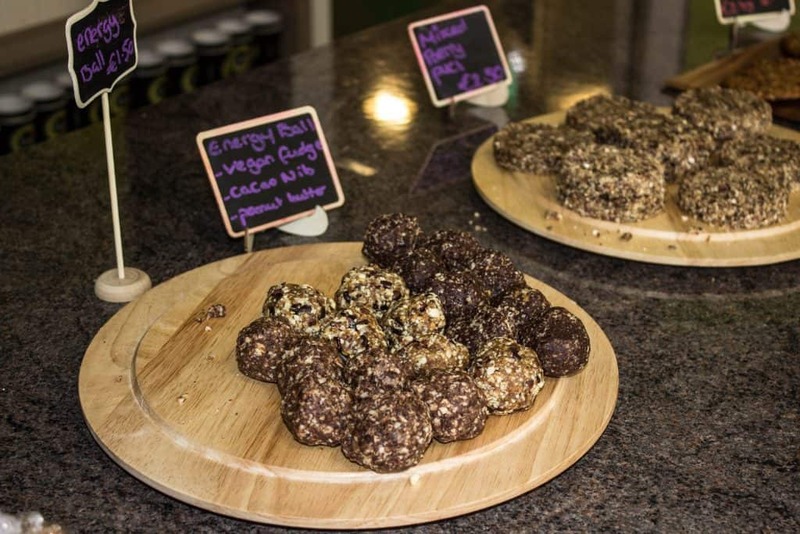 You can find all sorts of bulk health foods such as cacao powder, stevia, spirulina, chia seeds and much more. The Porterhouse was a pleasant surprise for me. 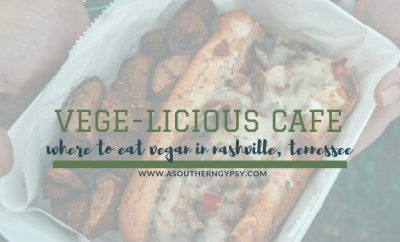 They’re definitely a meat-heavy establishment and so I wasn’t expecting it to be so vegan-friendly. Not only do they have a few options but they’re clearly marked on the menu. You can get a starter, a choice of a couple entrees and a choice of a couple desserts. 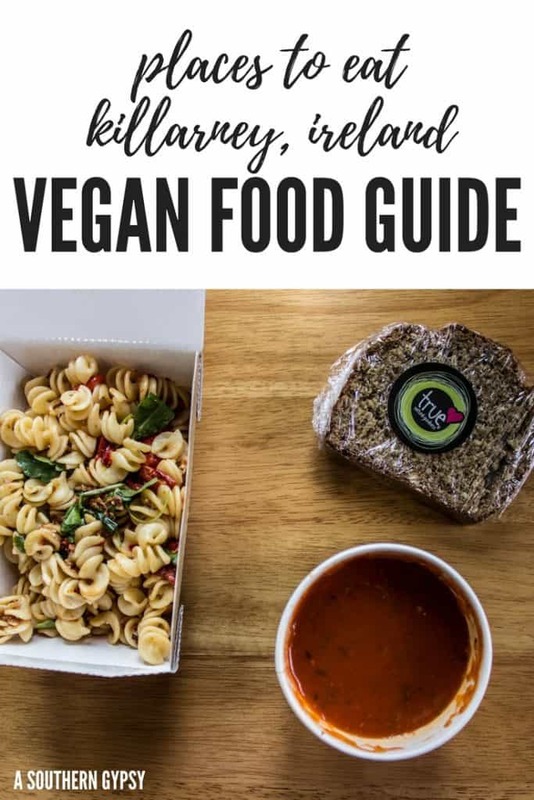 I got the Red Pesto Tagliatelle which is a pasta dish with a sundried tomato pesto topped with black olives, sundried tomatoes, cashew nuts and Violife dairy-free cheese. For dessert, I got the chocolate cake which is served with Irish salted caramel ice cream. 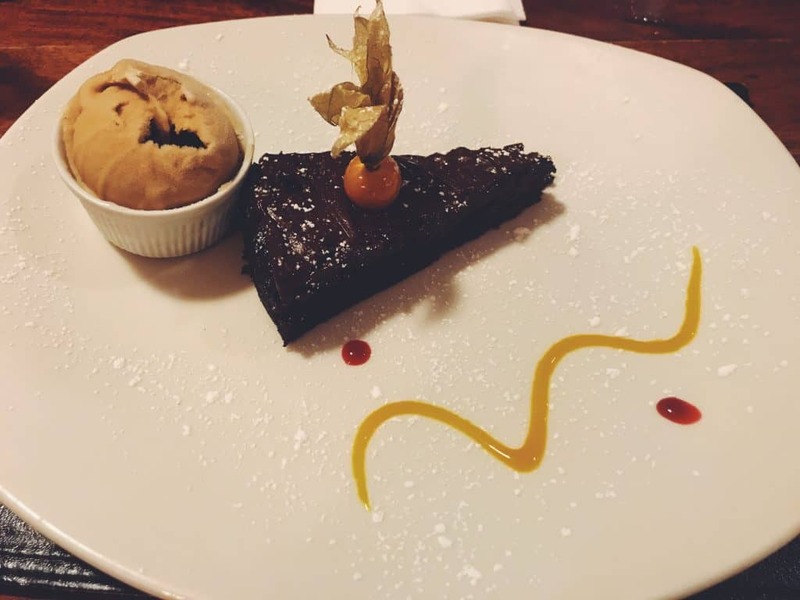 I’m not going to lie – this was surprisingly one of the best meals I ate in Ireland. Maybe my expectations were just low and so it was extra good but I would highly recommend eating at the Porterhouse while in Killarney. The Shire is an amazing one of a kind place in Killarney! It’s the only Lord of the Rings themed pub in all of Ireland and they do it so well! With themed drinks, food, character appearances, and live music – The Shire is the perfect place to hang out! I’m not even a nightlife type of person but I ended up here two of the five nights. Additionally, they have a veggie burger! It’s a falafel burger topped with lettuce, tomato, and greens. You’ll need to make sure to say no aoili on the burger and for good measure not to put butter on the bun. The burger comes with onion rings and fries. 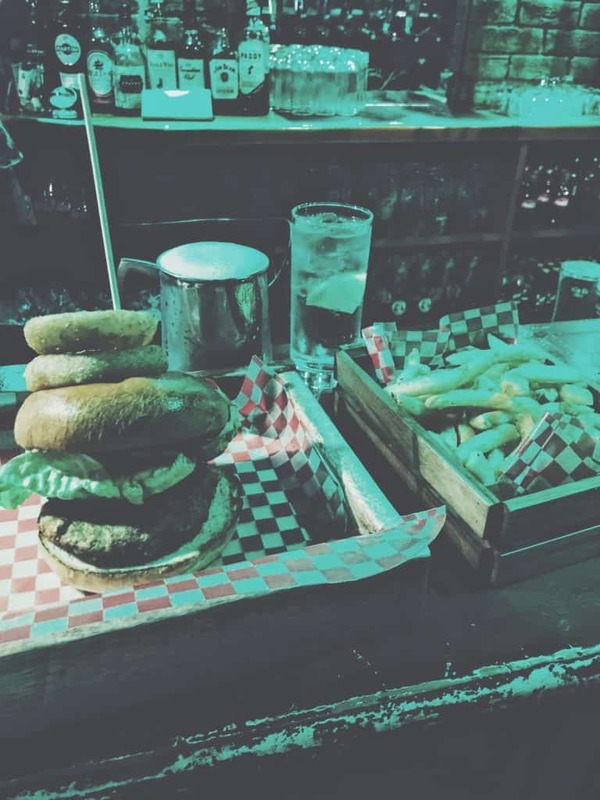 It’s the perfect bar food! Horan’s is an Irish chain of health food stores. 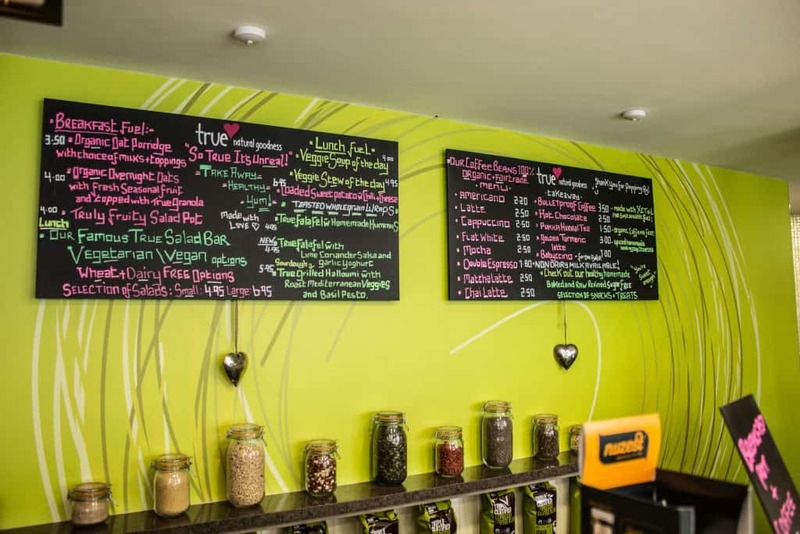 You can find a range of gluten free, soy free, vegan and all natural products in this small store. Since we had a full kitchen in our awesome rental house, we headed here and picked up some essentials. I got some Violife cheese (this stuff is life!) and a few other things here. 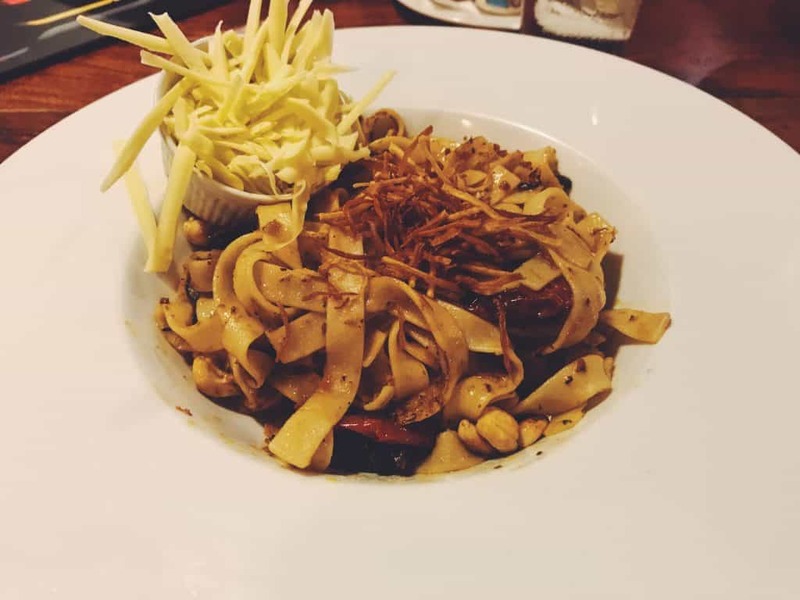 I didn’t get a chance to eat here but the restaurant at The Brehon Hotel has a separate vegan menu and I hear the food is fantastic so I wanted to include it here. The menu includes quite a few starters, entrees, and desserts. 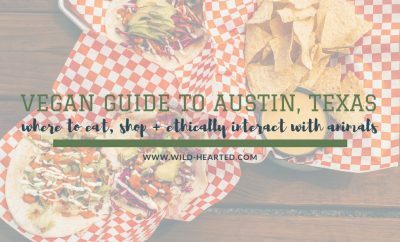 Aside from these main options, there are a few other places in town where you can eat a decent meal. Looking for hotels in Killarney? 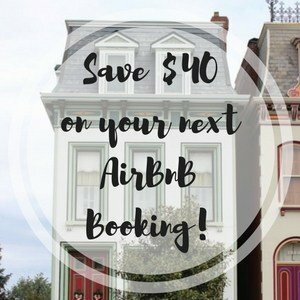 Read accommodation reviews here or book here. What else have I written? You can find more Killarney posts here and Ireland posts here. 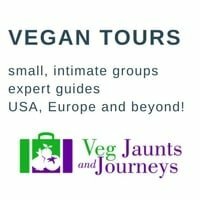 Thanks for the vegan reviews. Will be useful on our trip to Ireland.